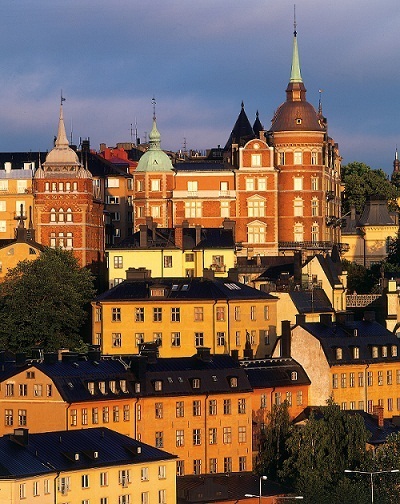 Rights & Rules | Stockholm Guesthouse - Bed & breakfast in Stockholm! Welcome to Stockholm Guesthouse, we are a rental agency that helps you acquire accommodation in Stockholm, We offer you B&B rooms, private apartments and private villas with a personal touch. Our rental objects are selected with care to make sure your stay will be trouble free and pleasant. Please, read Rights&Rules before you make your booking. We hope this will make your booking and stay enjoyable and stress-free. When you book with us, you confirm our rules. Please visit our B&B/Rentals page to view our accommodations. We hope that you enjoy your visit to Stockholm. When renting a Bed and Breakfast room – tea/coffe and biscuits is included. is at 10h00 on your departure day. We appreciate that you keep the booked accommodation tidy during your stay. Make sure to not leave food out to avoid attracting insects. Use the cupboards and the fridge to store the food. A normal final cleaning when you leave is included in your rental. But please leave the accommodation in good condition. If you want an extra cleaning during your stay, just contact us and we will do our best to support you. Generally it cost 200 SEK/hour and we can help with everything from cleaning to washing and ironing. Final payment is completed at arrival. Full travel and damage/responsible insurance are recommended. Most of our rental objects nowadays are non-smoking. If you would like to smoke, please check at the time of booking whether smoking is permitted. Stockholm Guesthouse is entitled to debit guests for the cost of cleaning fabrics, furnishings etc if the no-smoking rule is infringed. If you have complaints, it is very important you make them on site and at an early stage to Stockholm Guesthouse. Complaints after completed stay will not be accepted or compensated. Stockholm Guesthouse has inspected all rental properties and found them to be of a good normal standard with normal equipment. The rental properties owner is responsible for the letting of accommodation. Stockholm Guesthouse acts only as a intermediary between the owner and the guest. If the owner should for any reason be unable to let the booked accommodation, Stockholm Guesthouse has the right to book another equivalent accommodation with another property or offer repayment of the booking fee. Stockholm Guesthouse will inform the guest about such a situation and the necessary booking alteration. The guest is not entitled to damages or compensation beside what has been stated here. Stockholm Guesthouse bears no responsibility for conditions or events that lie outside Stockholm Guesthouse control. Neither Stockholm Guesthouse bears any liability for the guest or the guests belongings regarding injury, damage or loss. The guest is responsible for his own person and his belongings. Do you enjoy your stay and want to come back? As a recurring client you get a 10% off on your next booking fee (except for peak season). We also have several properties in France, Italy and Monaco, and your discount would apply to these properties as well. Just send us an email with the accommodation you stayed at and your new booking request and we will make sure to reserve your stay and deduct the discount. We will do all we can to make your stay as enjoyable as possible. But what is good can always become better. If you have any comments or good advice, by all means send them to Stockholm Guesthouse.